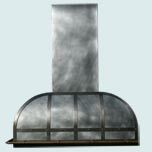 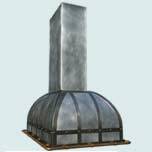 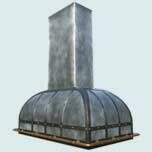 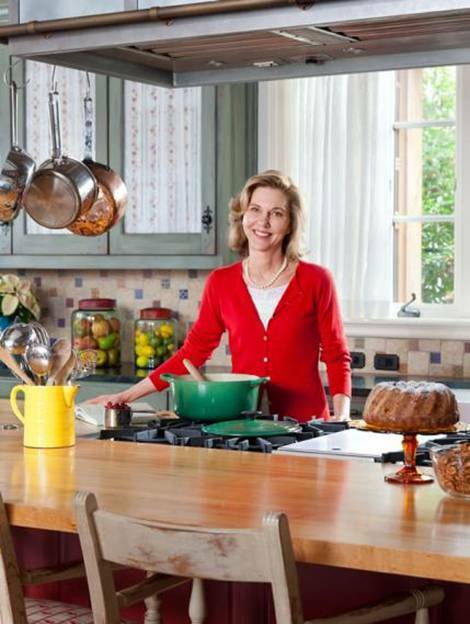 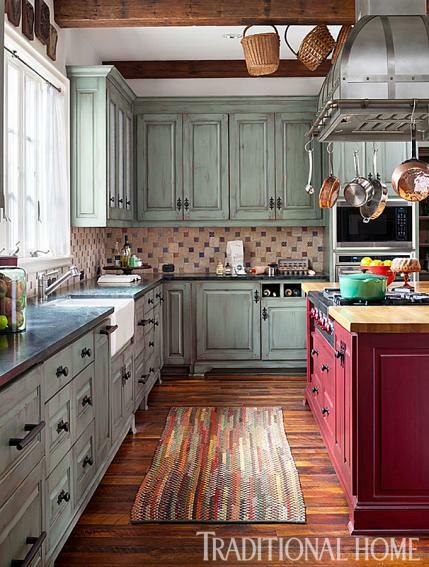 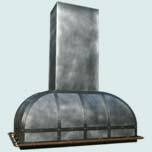 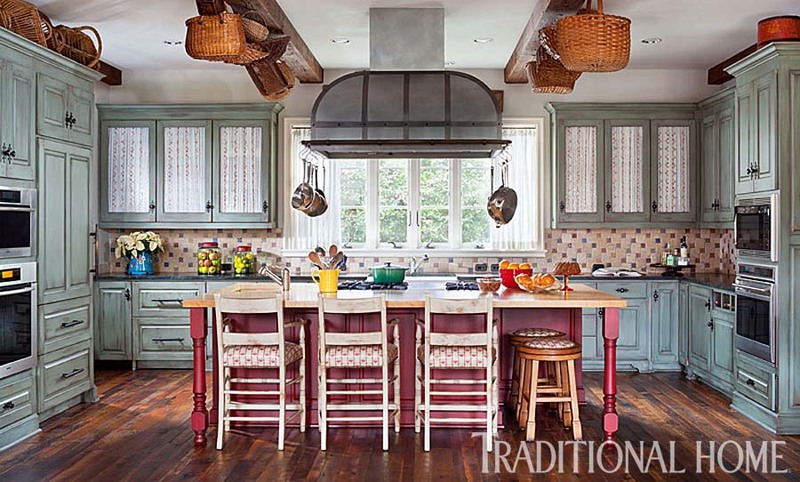 Custom Range Hoods - #3974 | Handcrafted Metal Inc. 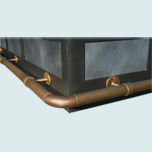 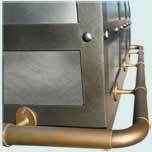 This Double Roll hood is shown with a wrap around heavy duty brass pot rail on the bottom band. 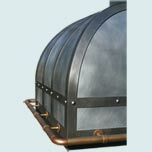 The straps are made as one panel on each of the 4 sides of the hood using 1/8" thick steel. 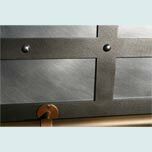 Our steel rivets and French Gray finish complete the straps and provide a slightly darker finish to contrast with the highlight medium patina finish of the zinc hood body. 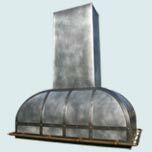 The hood is all-welded 16 gauge smooth zinc. 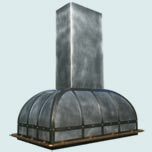 The structural stack has 2 layers, with a steel inner layer, and a fully welded zinc outer layer.